Hello guys! I hope you’re all having a great weekend. We’ve decided to stay at home today because it’s cloudy and cold outside and we’re lazy to go out. Last night (around 2am) I posted a Q&A topic on my bookstagram account and I’d like to thank those who took their time to leave some questions for me. 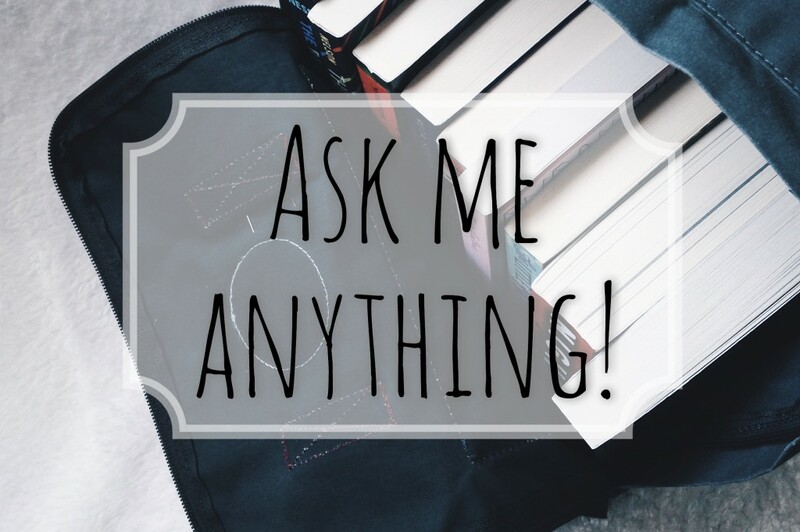 ♥ I’ll be answering the questions here so, happy reading. vicy_on : Where do u get ur money because i can’t even buy myself 3 books per month?? basketofbooks : What do you think your favorite sub genre of fiction is? I think mine probably is either contemporary or fantasy. I think realistic fiction is my most favorite. I also enjoy reading mystery and fantasy books. miriamtelli : Double question! What do you think makes a bookstagram successful and old books or new? I think it’s how you interact with other bookstagramers (both the people you are following and who are following your account). One of the purpose of having a bookstagram account (in my opinion) is to meet other people who have the same interest like you. To find people who you can fangirling with. You also have to remember that your account somehow reflects who you are so you may want to keep it real and always be yourself. Don’t try to please other people because you want to have more likes and followers. Do what you want and what makes you happy as long as you’re not hurting others. Always keep an open mind. 🙂 Hmm. I’m okay with old books as long as I can still read the pages. I have some books I bought from secondhand bookstores and library booksale. insidethebookpages : What camera and filters do you use? thebookmaidenWhich do you prefer Hardbacks or Paperbacks? I prefer hardbacks but since its so expensive here in our country, most of my books are in paperbacks. ? I’m okay with both. Most of my books are paperbacks because they’re cheaper than hardcovers and easy to carry. I like hardcovers because they look pretty on the shelves. 🙂 And sometimes if I really want the hardcover edition (like with TFIOS), I save my money for it. I hate it if they changed it half way through the series. If they want to change or to have a different cover, they should wait for the whole series to be over. thepetitebookblogger : What are your 5 favorite book covers? (You can only choose books on your shelves ?) My favorites are The Unexpected Everything, Illuminea, Wanderlost, The Book Thief (10th anniversary edition) and Ruby Redfort. Just five? 😀 Some of my favorites are The Book Thief, The Unbecoming of Mara Dyer, Aristotle and Dante Discover the Secrets of the Univers (it’s more pretty without the award logos), Harry Potter and the Prisoner of Azkaban and Even The Moon Has Scars. Oh I have a lot. 😀 My favorites are Hazel Grace and Augustus (of course, TFIOS), Finch and Violet (All The Bright Places), Cress and Captain Thorne (Scarlet), Hermione and Ron (Harry Potter series), Mara and Noah (Mara Dyer series), Feyre and Rhysand (A Court of Thorns and Roses). I love FourTris too. bennito_muchacho : When are you going to make my cocoa? amazingfuckingamy : Is there a time when you just get bored within a certain book and it takes months for you to finish it but at some point when you’re reading the last 5 chapters, it’s all crazy and amazing, because that’s like library of souls to me ?? I can’t include Harry Potter because I haven’t finished the whole series yet. 😀 I have a lot but the last book series that I totally enjoyed was The Lunar Chronicles by Marissa Meyer. I love the characters, story and theme. Red Queen is still on my TBR list. 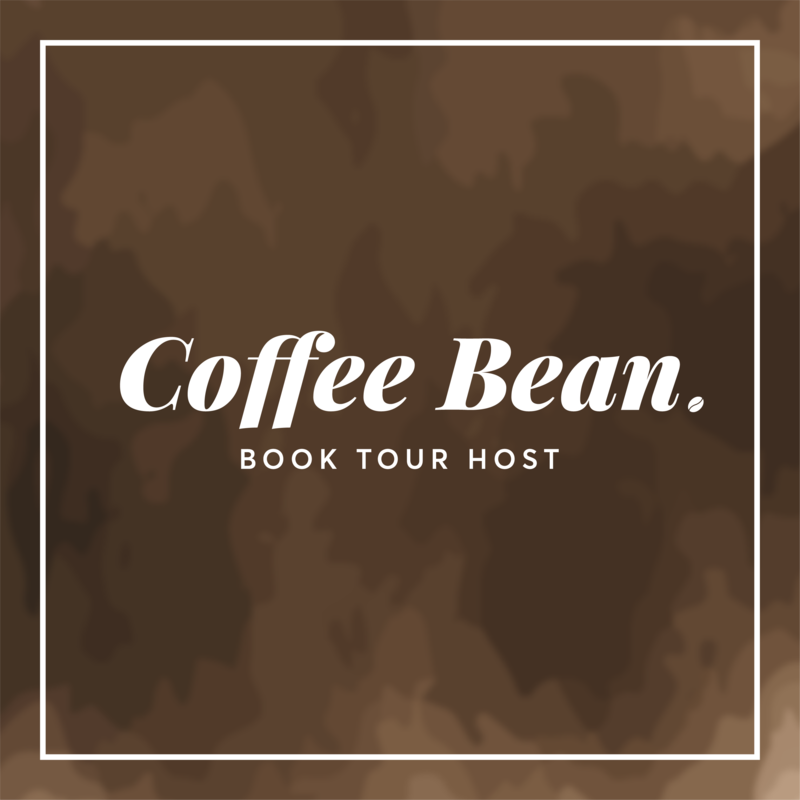 booklovingsophia : How many books do you have? babblingbooks : What do you do when you aren’t reading? (Work/hobbies) I work in Marketing/Business Development for a non-profit organization, & I love to paint. I don’t really have a regular job so when I’m home, I always watch The Big Bang Theory (I’ve seen the whole series more than 10 times already) or I’m writing on my journal/diary. Some of my hobbies are playing online games, cross-stitching and crocheting. 🙂 Your work sounds interesting. I also love to paint and draw but it depends on my mood. chloxsong : I’m currently in a reading slump 🙁 recommend some good books that may get me out? Oh I’m sorry that you’re having a reading slump. I think the best thing to do is to reread some of your favorite books or take a break from reading. You don’t have to force yourself to read. When I’m in a reading slump, I watch my favorite movies/tv series or reread my favorite book. the_book_cabinet : What got you into reading? I’ve been reading since I was a kid but most of the books I read were books with illustrations, comics, or Tagalog/Filipino books. I’m not into reading novels because I was always intimidated with the number of pages and they’re all plain letters. No drawings. I even said that “it makes me sleepy by just looking at them”. My highschool bestfriend is a Harry Potter fan and she always asked me to read the books. I never tried. Then I had a coworker who recommended Angels and Demons by Dan Brown to me. I tried to read it and was surprised that I’m enjoying the book even it took me almost 2 months to finish it. I even watch the movie adaptation and told my coworker that the book was better than the movie. After Dan Brown, I bought Paulo Coehlo’s books and then in 2012, I started reading YA and explore the other genres and collecting books. bookishjourney : what character would you like to swap lives with? What character? I’d like to swap my life with a wizard/witch like Hermione Granger, the smartest witch of her generation. 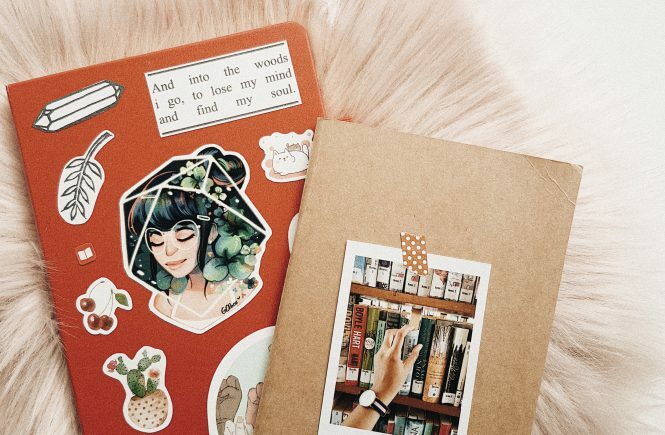 pretentiouspanda : THIS IS SUCH A GENERIC QUESTION BUT how does reading a book make you happy? Reading makes me feel at home and at peace with myself. I love all the emotions that I feel when I read something amazing. I actually have to put the book down and squeal when something cute happens. I love reading; it’s a part of me I can never let go of. It makes me feel free. I can be wherever around the world and sometimes in a very different world, but in reality I’m just sitting on the couch holding a book and a cup of tea. 😀 I find it fascinating how a book can make me feel like I was part of the story and the characters are like my friends/family. Do you also copy or do the character’s facial expressions? Because I do. Like when it says “She twisted her lips.”, I will stop reading and try to twist my lips. 😀 My husband caught me one time. Haha! _the_roar_ : Would you take a chance on a new author like me and check out my new book, The Roar by A.M.White? Again, just five? 😀 Some of my all-time favorite books are The Book Thief by Markus Zusak, All The Bright Places by Jennifer Niven, The Diary of A Young Girl by Anne Frank, The Fault In Our Stars by John Green and Wonder by R.J. Palacio. I always have a pencil and a highlighter with me when I read. I put highlights on my favorite phrases/lines and I put annotations or write my reactions (like OMG!, lol or draw a heart) on the pages. If I’m reading a series, I write the important events on my “spoiler” notebook. _itsjamxii : What is your dream library? (You may attach a picture) My dream library is a big (and cold) room with so much books and a bed where i could read. And i want that bed to be placed beside a big window (seeing a very nice view). 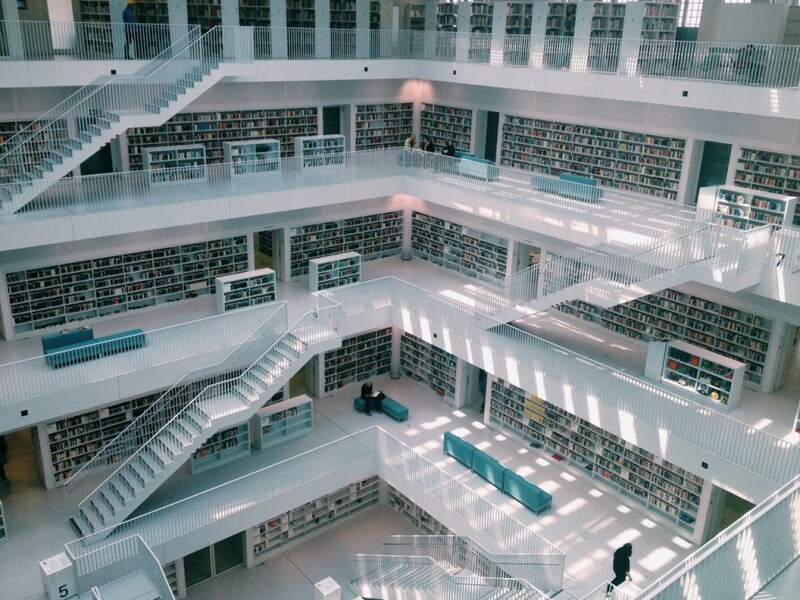 Stuttgart City Library in Germany aka one of the most breathtaking library I’ve ever been to. 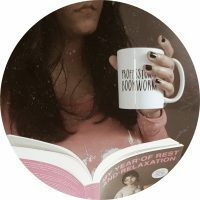 meghnababerwal : Which fictional character would you like to date and why? I’m really okay trying/exploring different genres so I cannot think of what is my least favorite. I haven’t read a lot of sci-fi and non-fiction though. yeunloveu : How many books do u finish per day? ? Per day? I cannot do that. 😀 But (so far) I can finish a book in two days. marissa_dame : Are you in a relationship or have a significant other? (I got married in 2015. ?) How many tattoos do you have? (I don’t have any.) You’ll have to forgive me if you’ve been asked or answered this questions already. ?? It’s totally okay. 🙂 I got married in 2015 too. I have three small tattoos. There you go! I hope that somehow you’ve learned something about me in this post. Thank you so much again guys for the questions (and answers too). ♥ Feel free to leave a comment below. Have a great week! Yay! I saw your dream library, W.O.W You’ve been there? So lucky. Thanks for answering my question, by the way. Yeah. I didn’t want to leave the place but I have to. 😀 No problem. Thank you for the question.